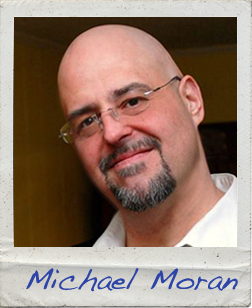 Michael Moran, graphic designer and visual artist, never wanted to be bald—but just ended up that way. A natural and engaging public speaker, he has spoken at conferences sharing his journey from last rites to recovery and purpose. He has had roles in several movies including The Road, has had artwork exhibited in group shows and is a singer in a rock-n-roll band. A native of Pittsburgh, Michael lives in Forest Hills with his wife and stepdaughter, and soon a golden retriever, once he gets a bigger yard. He has been clean and sober for eight years. Read the first page of Michael’s story!